What does it mean to have Business Skills in the 21st Century? The structure of business has changed considerably. In the past there were those in the company with strategic roles who set policy, and there were those who implemented them. Exercising good business skills was mostly a matter of following direction. 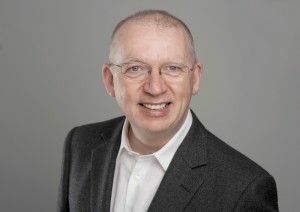 However according to William Buist of Abelard Collaborative Consultancy and founder of the exclusive xTEN Club the nature of business has changed, and the idea of what constitutes a business skill has changed with it. There are notable differences in business itself: increased globalization; less focus on what is happening locally; personalised service is harder to come by and is often less likely to be sought out; speed and efficiency are often seen as the top concerns; businesses are becoming smaller, more specialised and deeply networked; cultural diversity is becoming a high priority and multiple offices in a variety of international locations are no longer reserved only for the largest corporations. 21st Century is very different from its predecessor and exercising good business skills now means tapping into quality leadership, which, as Buist explains, also looks different than it did decades ago. While businesses need to have a sense of clarity when it comes to who is in charge, the way that employees are actually led looks different in a successful business. Leaders must present an image to their employees, customers, and shareholders of honesty and integrity, of insight, and courage, and of a collaborative, valuing spirit. They need to respond to, effect and affect change within the company, and within the business world in general. Employees need to be presented with opportunities to be creative and have their thoughts and opinions truly heard. They need to network more, engage in social media, and be prepared to respond to feedback, both positive and negative. Developing and communicating simple and responsible policies, such as recycling, can all help present a positive company image to the world. Effective leaders need to have strong communication and listening skills and still exude empathy, and genuine interest in the life realities that their colleagues face. Whilst business moves ever faster operational decisions must be made faster and with more decisiveness. These decisions need to reflect the good judgment of the company and prioritize what is most important to both the immediate needs of the business and society as well. Leaders need to pay attention to the political climate, the environmental needs of their community and the world, and show a strong ethical stance. Their decisions need to be backed by knowledge of many different facets of the business. Today’s leaders need to be present in some capacity nearly all the time. Many clients and customers expect interaction from the top. Social media needs to be monitored and responded to quickly. True leaders and managers need to be available, and not “out of the office,”. (If they are then a fully empowered delegate should be available). With virtual options, being chained to a desk is not only unnecessary it is also not cost effective for most businesses. Employees need to present a positive image of the company – internally and externally. Good public speaking skills are essential. There is less opportunity to pass difficult situations on to managers – they must handle these themselves, and be able to stay calm. Tense conversations are more likely so they need to listen to opinions that differ from their own, and stay rational and respect those opinions. Employees are presented with opportunities to help one another do their best by exercising good teamwork skills. Having a sense of when to talk and when to listen is an invaluable skill. They need to have humility and be willing to do work they are “overqualified” for. There are learning opportunities in every situation – if they are able to set the right priorities within their own role and exercise good time management skills. Beyond their workday, it is important to remain informed about the industry overall. Good management and great leadership will provide the direction necessary to help workers and the business succeed.